A video showing a suicide bomber disarmed and beaten-up by worshipers at a Saudi Arabian mosque has emerged online. The terrorist was one of the participants in an attack that killed at least four people on Friday. The captured attacker can be seen lying on the ground while worshipers come down on him, turn him over on his stomach, and unfasten what appears to be a suicide belt. “The young men grabbed his machine gun and beat him up, but he did not die. The police then came and took him away and the wounded were taken in private cars because ambulance cars did not arrive quickly,” a witness told Reuters. 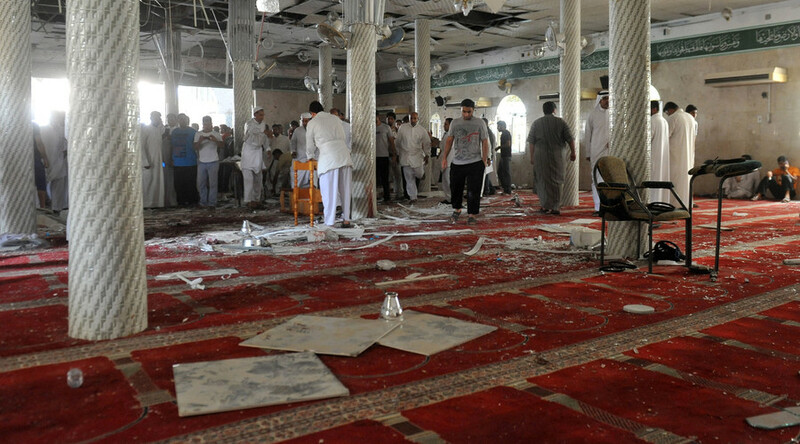 The suicide bombing and gun attack on Shiite Muslim worshipers took place at the Imam Rida mosque in the Eastern Province town of Mahasen during Friday prayers. At least four people were killed and 18 were injured in the terror act.